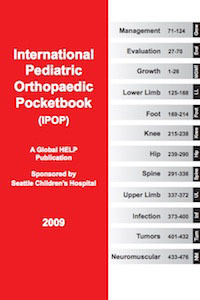 An extremely portable and useful pocket-sized version of Dr. Lynn Staheli's long-running "The Practice Of Pediatric Orthopaedics", reformatted and updated for an even wider audience. The cost of printing was covered by our cosponsor, Seattle Children's Hospital of Seattle, Washington. I wish to thank: Lippincott for granting permission for republication; Drs. Chappy Conrad, Vincent Mosca and Ms. Jennifer Becker of the Orthopaedic Department for supporting the printing and reformating; and Deborah Cughan for converting the publication into the pocketbook format.